Efficient pest removal done right. Feral pigeons are common in the urban environment and although they are generally considered to be no more than a nuisance, they can potentially pose a risk to human health. Pigeons and their droppings can also cause damage to the buildings they reside, perch or nest in or on. Utilising a trusted pigeon control provider in Adelaide is recommended to protect your health and your property. If your domestic or commercial property has been experiencing an influx in birds, then ensure you hire the professionals to receive a control method that suits your Adelaide premise. 32cm long Blue-grey in colour (although other colours are common). 2-3 broods per year, with two eggs in each clutch. Young birds spend 35-37 days in the nest. Pest birds and their associated debris are known to be a source of bacteria and insects, which are harmful to humans. 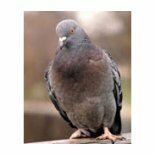 Although a link has yet to be proven with feral pigeons members of the public are becoming increasingly concerned with those risks surrounding Avian Flu and the build-up of any dead birds/debris. Experiencing another form of pest? We come with the experience to offer a range of pest control measures, and can handle other infestations, including rodents, spiders and more. If your property is plagued with a termite problem, give Neil a call on 1800 503 394 and have an inspection conducted for your peace of mind. No matter the size of the problem, we have the experience and the quality products to provide a comprehensive bird control solution in the Adelaide area.